Description An action-packed pirate puzzle. 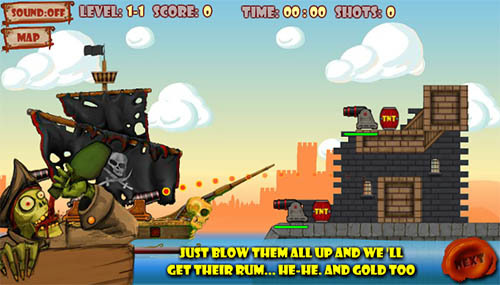 A skillful shooting game, point your cannons to explode the enemy cannons and sink the level as quick as possible. There are 28 cannon blasting physics levels available to play. Controls Use the mouse to aim and shoot, you control three cannons on your ship. Fun physics shooter with cool levels and nice graphics.